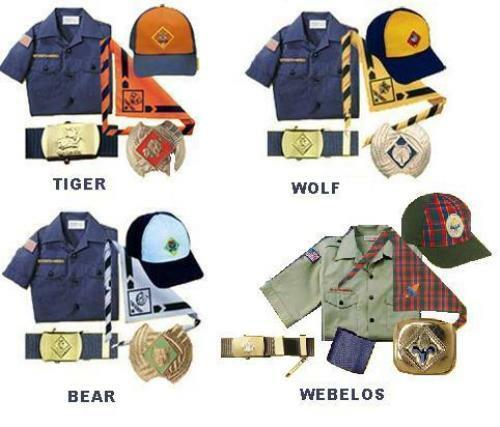 The Cub Scout uniform is an important aspect of scouting. It gives a sense of membership, unit identification, and pride. The uniform worn during Cub Scout Pack 65 activities and events is the uniform as prescribed by BSA, with the pants, belt, and socks as optional. Registered leaders are also required to be uniformed. Badges/patches needed to buy (world scouting, council strip, pack numerals “65”, rank earned, additional awards earned) – the scout shop staff will help you! See inside back cover of Cub Scout Handbook for details regarding patch/insignia placement. Patches and insignia should be sewn on to ensure they stay in place during the activities we participate in. The patches are not iron-on, but you may purchase commercial “badge magic” iron-on treatment if you prefer. 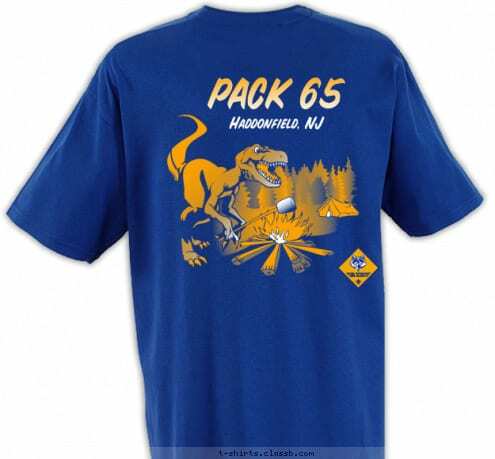 The scout store will help put together the uniform items for you, just tell them the rank, what you need, and that you’re in Pack 65 Haddonfield. The blue Cub Scout shirt should last through the first Webelos year (4th grade) so size accordingly for scout growth over the years. An activity shirt is provided with the payment of dues, and can be worn camping, at Pack events when indicated, or at the Den Leader’s discretion when conducting activities where appropriate. Note: The Cub Scout hat is worn with the activity shirt. Handbook for rank is considered part of the uniform – it’s a vital tool and packed with useful information! Webelos and AOL use the same handbook across both rank terms.